We live in a multi-channel and multi-device world. A consumer may learn about a product on Facebook, then visit Amazon to compare pricing, and end up going to the product’s eCommerce site to make the final purchase. As you can see, the path to purchase is not as linear as it used to be. Consumers like to visit different sites and platforms before making a purchase to compare everything from pricing to reviews. Thus, if you only focus on Amazon, you’ll limit your online presence, which will put you at a competitive disadvantage. Smart retailers should use as many channels as possible to stay in front of their target audience. Here, we’ll go over 10 tips to strengthen your brand using Amazon and other channels. It’s tough to build brand loyalty on Amazon. Brand loyalty entails having a customer come back for repeat purchases and avoiding losing them to the competition. One of the easiest ways to do this running a regular eCommerce store is by sending reminder emails to stay top of mind. However, with Amazon, sellers are not allowed to contact customers unless it’s for a review. With such limited power, it’s hard to build repeat customers. Lack of control. Amazon sellers are at Amazon’s disposal, which limits their control. If the platform decides to shut down your category or implement higher fees, there’s nothing sellers can do to stop it. It’s tough to convey quality for new sellers. On Amazon, you’ll find hundreds of sellers that sell largely the same products. Buyers try to compare products quickly by reviewing factors like pricing and reviews. If you don’t have a household brand name and your products are more expensive than your competitors, it will be tough to catch the buyer’s attention. On the other hand, having a store outside Amazon will allow you to convey your product’s value by displaying more information and visuals, thus allowing you to potentially increase selling prices. Include package inserts with your Amazon or website orders. Product packaging plays a big role in creating positive customer experiences. If a package looks sloppy, it can make the product look used or old. On the other hand, nice packaging can make products seem more valuable and show the company is detailed-oriented.Package inserts are an important component of the whole packaging presentation. They can help provide a good first impression to new customers and be an affordable medium for branding. At a minimum, you’ll want to add your logo and website address to encourage your Amazon customer to visit your site. You can also get more creative by adding a story about the product or highlight its benefits.Another useful section to add to your package inserts is one that encourages your buyers to leave a review. For instance, it can say something like “were you satisfied with your products? Leave a review.” Just make sure not to offer monetary incentives in exchange for reviews. Statements like “leave us a review and get 20% off your next order” are prohibited by Amazon. Use Amazon and other reviews tools to influence buyers. Reviews are one of the most important elements on Amazon. Getting them will not only help you rank higher on Amazon, but will also help you convince potential customers to make a purchase. This social proof is extremely important on Amazon because there is high competition for similar products. Thus, one of the main differentiators is the review.If there are two products that look the same, but one has five good reviews and the other one has zero reviews, guess which listing is going to get more sales? Yes, the one with higher reviews.The first step to strengthen your brand online using Amazon reviews is to ask for them. Each of your customers should get an email asking them to rate their purchase. If you only have a handful of Amazon sales per month, it may be easy to send the emails manually. However, if you’re selling hundreds of products a day, you’re going to need a more robust solution. Services like FeedbackTuner can help you send timely and automated emails to all your customers. In that way, you’ll never miss a chance to get a review.Amazon is great for reviews, but that doesn’t mean that your website should be left behind! If you’re using a platform like BigCommerce, there are multiple review apps that can be easily installed to start capturing reviews. Once the app is installed, set up automated emails to be sent out to all your customers as soon as they get their package delivered. Have an omnichannel sales approach. Selling in multiple channels is a great strategy, but it will not be as effective as it could be if you don’t have an omnichannel presence. An omnichannel sales approach allows sellers to provide a seamless experience to all visitors despite the channel or device they are using. Such an approach allows users to have the same brand experience regardless of the device they are using or the platform they are in. 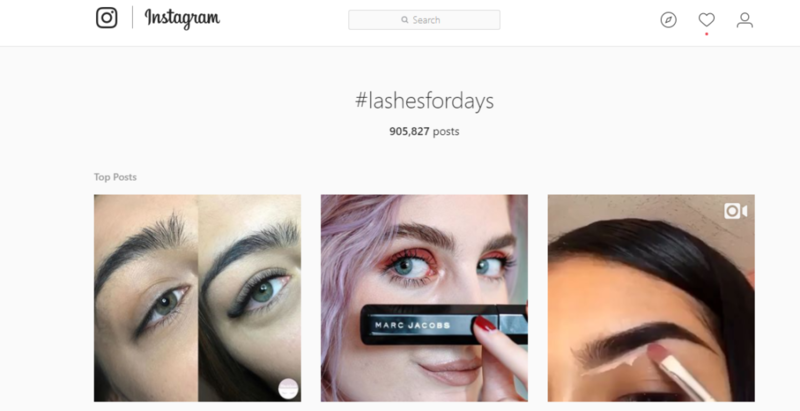 It helps brands have a more cohesive look and feel, becoming more memorable to potential customers.Note that simply having multiple channels such as Facebook, a blog, or Twitter, does not mean you are taking an omnichannel approach. You have to make a conscious effort to align your message and goals across different channels to have such presence.For instance, Bank of America offers an omnichannel experience by allowing its customers to accomplish the same tasks seamlessly in different channels. 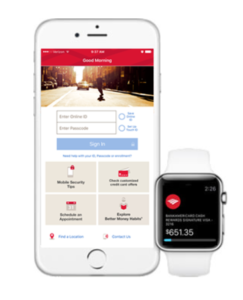 Photo credit: Bank of America Customers can use their mobile devices to log in to the app or mobile-friendly website to make a transfer. Alternatively, they can also make a transfer on their desktop. They get the same experience regardless of the device they are using. Leverage each channel to increase traffic to other channels. Selling on multiple channels besides Amazon is just the beginning; then you have to create a strategy to bring traffic to those channels. One of the most effective ways to do this is with cross-channel promotions. For example, promote your Facebook account on Snapchat and vice versa. In this way, you’ll encourage people to follow you on different platforms, allowing your store to always stay top of mind.You can also leverage the power of newsletters to drive traffic to your platform of choice. For instance, set up automated emails that are triggered right after someone subscribes. Then, add a motivating message reminding them to follow your store on different platforms in exchange for something that may be of value to the subscriber, such as special offers.This strategy works well because the subscribers get the message right after they have interacted with your brand, so your store is fresh in their minds and they will be more prone to visit other channels. Collect user information whenever possible. The first step toward nurturing potential customers or getting existing customers to repeat a purchase is capturing their information. By capturing users’ email addresses, you’ll be able to send future emails to incentivize them to come back to your store.One of the most effective ways to collect emails and quickly grow your subscriber list is by using email subscriber popups. They remind users to subscribe to an email list in exchange for discount codes or other types of incentives. For example, see the Victoria’s Secret email popup below: There are many website plugins that offer customizable popups and banners. One of my favorites is Sumome. Besides the popups, they also offer an analytics dashboard and A/B testing so you can see which version performs best. To take your popups to the next level, test different trigger options like showing popups when users try to exit the site, or different popup versions according to the traffic source.Once your email list has at least a couple thousand subscribers, you can also connect with your subscribers by retargeting them on Facebook. All you have to do is create a custom audience and set it as your target audience when creating ads. Tailor your message according to the platform. Part of the process of strengthening your brand is building a strong social media presence. It can help define your brand’s personality and look and feel. It can also help open conversations with your fans to engage with them at different levels of the buying process. 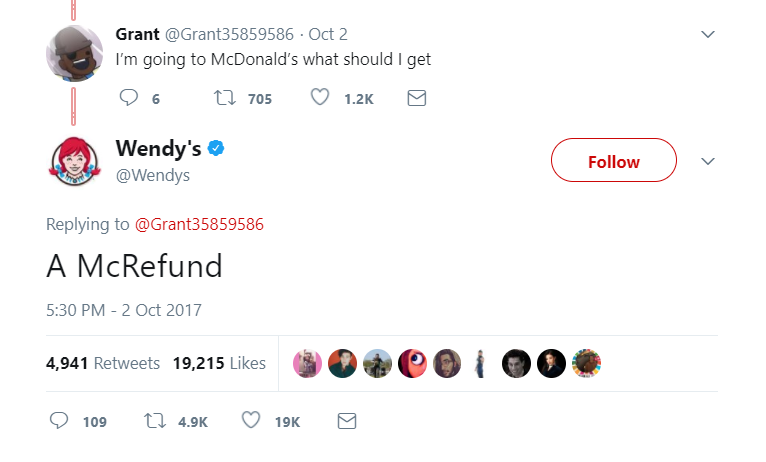 One of the best brand personalities on social media is Wendy’s. They are not scared of replying with snarky messages as they please, and people love them for it: This kind of reply may not have been as effective on Instagram or Facebook, but the text nature of Twitter makes them ideal. This goes to show that brands don’t have to follow the same rules on all social media platforms. It’s okay, and recommended, to post different content on different platforms. It’s also important to follow posting customs.For instance, optimize Instagram and Twitter posts with hashtags. Using popular hashtags will help others find your account and will help your posts rank for popular posts and current events. For example, see how a quick search for a popular hashtag on Instagram brings up all the related posts at the bottom. 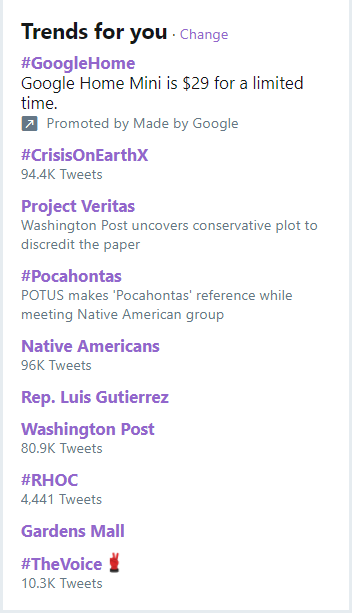 On Twitter, piggyback on the latest trends by finding popular hashtags to use on posts, helping your account stay current. Emojis have become another important element of social media across all platforms. Users have created their own language surrounding them, and businesses are using them to appear more friendly. As a matter of fact, posts that use emojis get higher engagement than posts that don’t.Another way to optimize posts is using videos. They get more engagement than images or text on any platform. Social video generates 1200% more shares than text and images combined. Use lookalike audiences to reach new buyers. Constantly creating new target audiences can be daunting! That’s where lookalike audiences come in handy. If you have an audience that already performs well, you can reach a similar audience by creating a lookalike audience. It will not only help you expand your reach but, also, get higher chances of conversion, given that the audience is similar to a well-performing one.To create a lookalike audience, go to your Audiences section of your Ads manager: You’ll first need to create a source audience using a custom audience. Start by selecting “custom audience” under the “create audience” dropdown. Then, select one of the options on the next screen. For instance, the customer file option will allow you to upload a list of emails, or the engagement option will allow you to target people who have engaged with your page on Facebook or Instagram. Once the audience is finalized, go back to create another audience and select the lookalike option. The audience size percentage will determine how close the new lookalike audience is in correlation to the source audience. Expand your reach with Amazon Advertising. Selling new products on Amazon can be tough. There is not enough data for Amazon to give your listing preference over older listings, and there are no reviews to build trust with potential new buyers. Thankfully, Amazon advertising can help boost your listings and get them the jumpstart they need.If you’re a third-party seller, like most sellers on Amazon, then sponsored product ads are your type of campaigns. They blend in nicely with other organic listings, so many users won’t even know they are clicking on a sponsored listing rather than an organic one. 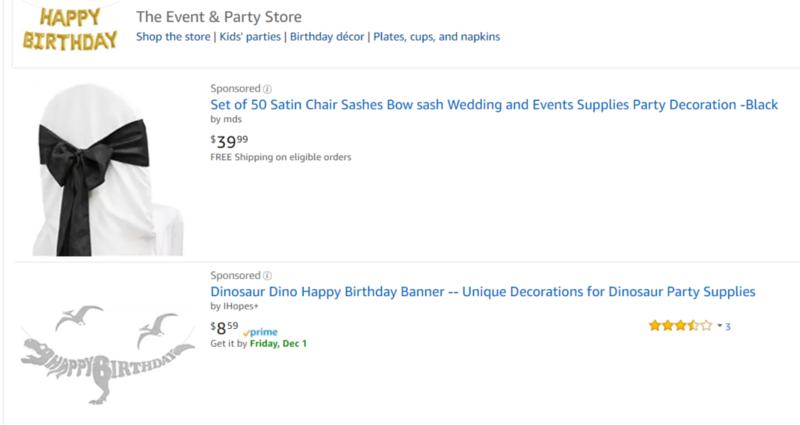 For example, in the image below, you can see how searching for “party supplies” on Amazon triggered the two sponsored listings at the top of the search: These ads can use manual or automatic targeting. I’d suggest using manual targeting to get more control over your results. Targeting is very similar to AdWords, where you can add target keywords and negative keywords. 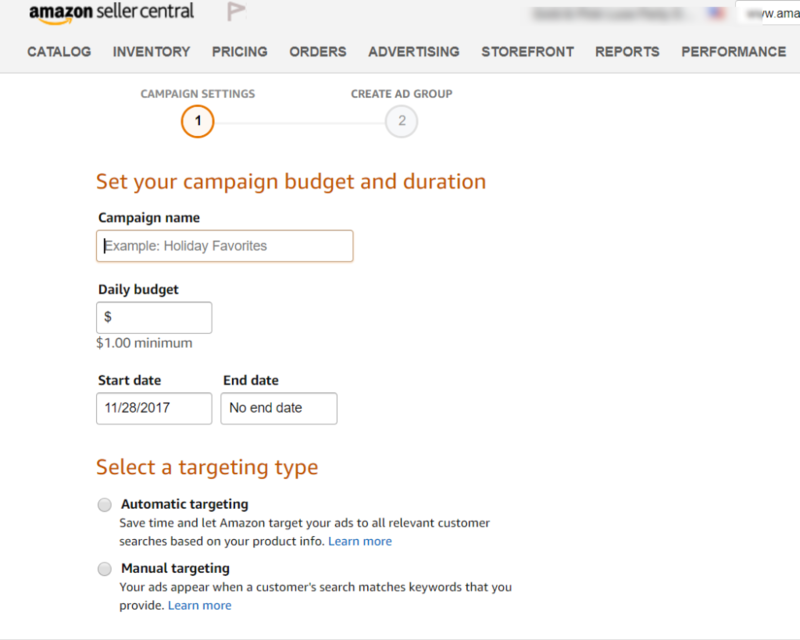 To get started, just go to Amazon Seller Central and click on Advertising, and then select Campaign Manager from the dropdown menu. Once in the Campaign Manager, you’ll be able to create your campaigns and select your targeting strategy: Encourage repeat purchases. Getting repeat purchases from existing clients is around 5 to 25 times more affordable than getting purchases from new customers. Thus, engaging and retaining current customers is key to strengthen a brand.There are many ways to stay in touch with your existing customers and encourage them to return to make a new purchase. One of them is using newsletters to drive traffic to the site. Instead of putting all your subscribers into one general list, segment it into smaller groups according to a set of criteria. For instance, you can make three different segments with subscribers who haven’t made a purchase in the last 30 days, in the last 60 days, or in the last 90 days.Segmenting your list will allow you to better tailor your message according to the user’s last interaction with the site. For example, subscribers who haven’t made a purchase in 90 days may not even remember your store. Thus, that segment would need a more detailed reminder of what the store is about and what the subscriber purchased last. Alternatively, if you’re targeting a subscriber who has made a purchase in the last 30 days, you’ll need less detailed information about the store itself, because the target would remember. Measure, monitor, optimize. Whether you’re an online marketing master or just starting out your first campaign, monitor and optimization are keys to the success of any online effort. Only by analyzing the data will you be able to get a complete picture of what’s working and what’s not. Then you’ll be able to optimize accordingly to increase conversions.One of the main tools for the job is Google Analytics. It will help you get a summary of your overall performance from different sources, such as social media, AdWords, and organic traffic. This tool is great for getting numbers but, many times, it can’t offer a clear idea of what is going wrong.For instance, you may learn with Google Analytics that your homepage has a high bounce rate, and, therefore, is not performing as well as it should. But Analytics won’t exactly tell you what is wrong. Is it the copy; the images? The colors? Analytics won’t be able to give you a definite answer; however, a recording tool like Hotjar can provide a clear idea of how the users are interacting with your page.With the help of heatmaps and visitor recordings, you’ll be able to see exactly where users are clicking, where they are getting frustrated, and what sections of the page they are paying attention to or skipping entirely.Finally, the last things to keep to avoid errors in reporting are tracking, conversion windows, and attribution. Make sure to add tracking pixels to the thank you page after a purchase has been completed, and not to the product pages on the site. That applies specifically to Google AdWords; however, with Facebook, you can add the code to all pages and set up different events on the right pages. For more insights on how you can strengthen your brand and compete with Amazon, call us at 888-429-4803 or email us at info@eystudios.com.